The film festival "La Quinzaine des réalisateurs" (Directors' Fortnight) took place from the 3rd to the 9th of July 2017 in Brussels. This independent festival, which is held at the same time as the popular Cannes festival, features short and long films. A selection of those films was shown in the Brussels' Flagey studio. Cafébabel was there. West of the Jordan River is a picture diary of the people who live in the land of the Jordan River. Not Israel, not the West Bank, not the Gaza Strip. The movie is really about the views of the people who jointly live in this same territory. This war-torn land has created enemies. The film is made up on a set of interviews collected from a previous movie of 1994 and a comparison with interviews taken in 2016. The director, an Israeli, presents his critical approach towards Israeli’s political decisions, revealing instead the inconsistency with the people’s will. Other Israelis share this perspective and they even foresee the capitulation of the Israeli dreamt state: in 10 years, the nation could reach a "point of no return" due to the many cruelties committed towards Palestinians. Indeed this colonisation is considered by many as immoral but moreover preoccupant, going against the ideologies and the principles of the Jewish religion. 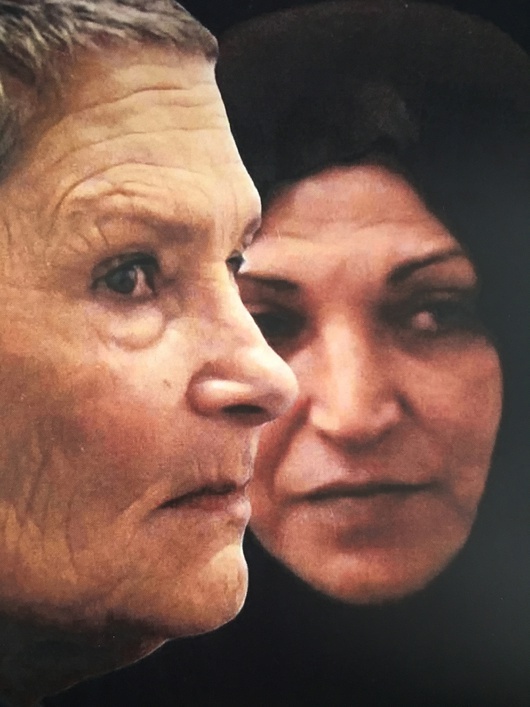 West of the Jordan River however highlights also how the Israeli-Palestinian conflict unites instead of dividing, creating friends upon supposed enemies. By presenting civil society organizations, and by getting testimonies of civilians, the spectator discovers the immense solidarity and the tremendous brotherhood of the people. The movie is a fresh way to think about the moral price of the conflict and the willingness of the people to go beyond the differences and try to coexist: a spirit of good will to live around smiles and not around teardrops and losses. Despite this very inspiring bottom-up momentum for peace, the director regularly recalls the emotional and generational scars that the conflict leaves behind. West of the Jordan River vehicles a message of peace and hope in an impasse of wars and interests by emphasizing on the resemblance of Arab and Jewish people who share a land but maybe even more than that. Eventually Shalom and Salam are not too different words. 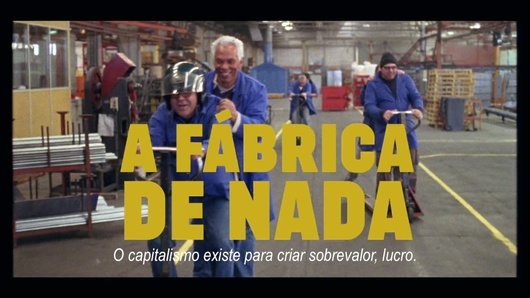 The film The nothing Factory (A Fàbrica de nada), which won the International Federation of Film Critics (FIPRESCI) prize in Cannes, is the first fiction film by Portuguese director Pedro Pinho. Zé, a young man working in a lift factory near Lisbon, and his numerous colleagues are realizing that their factory will be removed. Zé, among several other young men, are offered large compensation sums by HR if they choose to leave the factory. Most of them prefer to stay with their colleagues in order to fight - they decide to go on strike and to occupy the factory. The word about the group of workers denying access to management spreads. The nothing Factory gives a touch of hope and inspiration that people can take charge of their own working life instead of being pushed around by the hierarchy. However, the film is still realistic since the workers in the factory are arguing back and forth about the best solution to their problem, and not everybody is on the same page. Zé's father, for example, thinks it's best to answer with a rebellion and force. Nonetheless, the sociologist's opinion is to be more patient since factory without a boss takes time to run itself. More and more cooperatives - for example food cooperatives, where clients work several hours a month in order to buy groceries - are emerging. The nothing Factory is based on a self-sustaining factory called FaSinPat, a worker-controlled ceramic tile factory in Argentina.